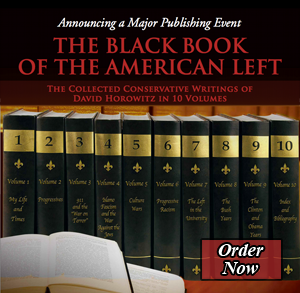 The first volume of David Horowitz’s nine-volume The Black Book of the American Left focused on the author’s personal journey out of the leftist faith and its community of adherents — a courageous, disorienting rejection of all he had once believed — and into a reasoned and pragmatic conservatism that has been his creed ever since. Analyzing the various forms of delusion, bad faith, and pathological self-hatred that leftism inspires and demands, the essays in that volume chronicled Horowitz’s decades-long crusade to unmask progressive fantasies to reveal their devastating real-world consequences. In documenting the monumental failures of leftist regimes and the illogic of leftist ideology, Horowitz’s writings have made a vital contribution to the conservative movement in America. In the second volume of his oeuvre, Horowitz turns his attention to individual progressive, showcasing the destructive extremism and Communist roots of their so-called liberal beliefs (actually the opposite of “liberal” in both philosophy and political tactics) and revealing the deep anti-Americanism that has become a part of the Democratic agenda. Here, Horowitz documents the historical falsifications and distortions of purpose necessary to the left’s salvationist program. In essay after essay, his acute understanding of the leftist passions he once shared is arrestingly on display. Such a statement might seem to justify a stance of loyal opposition, and bolster Foner’s righteous self-image as a man of conscience. It takes a Horowitz to reveal, however, that Paul Robeson was a fanatical admirer of the Soviet Union and his attitude towards his own country was unrelentingly critical and destructive. Likewise, Professor Foner’s love of country has often been so bound up with corrosive dissatisfaction as to prevent him from taking its side when under attack. Only in the Alice-in-Wonderland progressive lexicon can a willingness — even eagerness — to see one’s country defeated by totalitarian foes be classed as a patriotic emotion. As Horowitz demonstrates throughout this collection — chronicling in vivid detail the upside-down logic of so many leftist activists and intellectuals — such justifications are straight out of the Communist playbook, by which two generations of radicals “rationalized their disloyalty to America as a higher loyalty to the socialist revolution.” It is here that Horowitz’s familiarity with America’s Communist past enables him to puncture present-day progressive subterfuge. He shows how the Communist certainty that America’s future as a collectivist utopia was already determined has continued to galvanize modern progressives, for whom fanatical devotion to a future ideal, even if that means destroying a vibrant democratic nation, is indeed a higher loyalty. As Horowitz reveals in his first-rate article on Wen Ho Lee, a nuclear weapons scientist who stole secrets about the U.S. nuclear program for China, and who was zealously proclaimed innocent by leftist journalist Bob Scheer, there is a significant “tolerance, sympathy, and even support for treason […] in the mainstream liberal culture.” Because leftism posits a future in which all imperfections will be abolished, the destruction of the present (imperfect) society is not only acceptable butnecessary; and this is why, in the wake of the September 11th terrorist attacks, a significant anti-war movement could arise that focused its anger on America rather than on Islamic extremism, and that envisioned peace as occurring through thedisappearance, not the survival, of the United States. Horowitz’s ability to reveal the commitment to America’s destruction at the bottom of progressives’ benign-seeming and peace-proclaiming bafflegab is a particularly salient contribution to conservatism. Equally crucial is his tracing of the continuities between the Old Left and the New Left. What has changed about the progressive faith since the collapse of the Soviet Union is not any diminishment of revolutionary commitment, but instead an increase of utopian fervor in proportion to the abandonment of specific social and economic blueprints for change. The ragtag collection of eco-radicals, queer and feminist militants, class warriors, anarchists, Maoists and the like who make up the anti-war and Occupy movements has become a purely nihilistic phenomenon dedicated to destroying capitalism, with no clear idea of the preferred system that would replace it. As an example, Horowitz profiles acclaimed Communist historian Eric Hobsbawm, whose last book, Age of Extremes, provides a detailed defense of Communist ideals yet who has openly stated his continuing commitment to a project that, in his own words, “has demonstrably failed, and as I know now, was bound to fail.” What does it mean to remain committed to a system bound to fail? Through such a statement, Horowitz argues, Hobsbawm admits “the religious nature of radical beliefs” — in other words, the commitment to a world with no connection to reality. Horowitz articulates the irrationality of such a commitment with salutary clarity: “So strong is the psychological need for the utopian illusion and its project of destruction, it does not matter to Hobsbawm that the noble future to which he devoted his life and talent did not work and could not have worked, or that when put into practice it created monstrous injustice.” The Left’s utopianism can countenance, and even long for, the defeat of America despite the fact (or because of the fact) that leftism can formulate no viable alternative. No wonder such beliefs are often impervious to reason. In the individual profiles assembled in the volume, Horowitz documents in compelling detail the misrepresentations, aversion to reality, and vicious dishonesty that characterize many of the world’s most committed left intellectuals; and he shows, disturbingly, how their lies are allowed to pass as truth by a complicit media and academic culture. An incisive essay on Noam Chomsky, “Guru of the American Left,” picks apart the multiple distortions and shocking fabrications in What Uncle Sam Really Wants, Chomsky’s tendentious account of American foreign policy since the Second World War; Horowitz decisively rebuts Chomsky’s ludicrous claims concerning American pro-Nazism and U.S. support for murderous regimes. And yet Chomsky, who has justified al-Qaeda’s attacks by proclaiming the United States to be the greatest terrorist entity in the world, and who actually visited New Delhi and Islamabad after 9/11 to stir up hatred and encourage attacks on American soil, is widely lauded and influential, perhaps the most important public intellectual alive today. Similarly effective and disquieting is Horowitz’s dissection of Howard Zinn’s A People’s History of the United States, a text used in many American history courses, which presents American national development as a sordid tale of racial evil and capitalist exploitation unparalleled in the world. Such a distorted screed can serve no educational purpose; rather, it is a tool of leftist indoctrination to guarantee that college students are taught to despise their leaders, feel ashamed of their country, and be unable to assess American achievement in comparison with that of other nations. Even more mendacious is the autobiography of Rigoberta Menchu, a much-lauded personal memoir of revolutionary struggle, which pleads the case of the Guatemalan poor and the moral necessity for Marxist revolution to redress it. As Horowitz shows, the book is a tissue of falsehoods to sway gullible western readers — especially university students, who have studied it by the thousands — to the Communist cause; media and academic collusion in the fraud has been widespread. The intellectual strengths Horowitz brings to his project are, if not unique, certainly rare: a comprehensive grasp of leftist history, its movements, tactics, splinter groups, and ideological currents, combined with an analytical precision enabling him to expose, at the micro-level, the various falsehoods and murderous sleights of hand that characterize leftist arguments. Horowitz is devastatingly good both at illustrating the wide-scale destructiveness of leftist ideas and also at tracing the underhanded rhetorical stratagems in individual’s statements. His ability to clarify the layers of self-deceit and irrational hatred in platforms claiming to promote peace or concern for the poor is unvaryingly sharp. The moral urgency of his writing is articulated in bracingly clear, assured prose — shafts of truth that cut through the fog of leftist platitudes. Noteworthy also is Horowitz’s dissenting but appreciative review of Ann Coulter’s Treason, one of the few occasions in this collection when Horowitz engages critically with a fellow conservative. Taking issue with exaggerations and over-claims that he sees as more characteristics of the totalitarian left than the responsible right, he provides a nuanced but uncompromising rejoinder to her sweeping denunciations. Commitment to the truth of history is the keynote of this collection, a truth symptomatically abandoned by leftist sympathizers in favor of wishful thinking and disavowal of its murderous consequences. When Horowitz’s website Discover the Networks first went live, it was ridiculed for seeming to lump together fanatical Islamists and Marxist radicals, on the one hand, with the humane and “moderate” left-wingers, who share only some of the murderers’ beliefs and sympathies, on the other. Responding to an angry indictment by friend Sherman Alexie, Horowitz concedes that some leftists have good qualities and intentions, but points out that such a sentimental truism provides “no way of explaining political conflicts and why some people line up consistently on one side of the arguments.” Unlike so many of his leftist opponents, Horowitz’s objective is not to claim that political differences negate the humanity of those on the other side of the ideological divide. Indeed, it is progressives’ very humanity — the human longing for personal and social salvation — that so compels Horowitz and about which he writes with such consistent acuity. His insight here is what leftists deny and deliberately misunderstand: “Compassionate and intelligent people often wind up supporting agendas that are neither.” Such is the simple yet profound truth at the heart of this important book.